Imagine a pile of local carrots, a bright tower of healthy fresh produce taller than a first grader. This month, 11 first graders volunteered with the High Desert Food & Farm Alliance (HDFFA) to bag over 1,100 pounds of farm fresh carrots and apples for NeighborImpact, and they were all prepared for storage by pint-sized students in a matter of minutes. These Central Oregon grown carrots, donated from CalFarms in Madras, are considered to be seconds and are deemed “ugly” because of their different shapes and sizes. 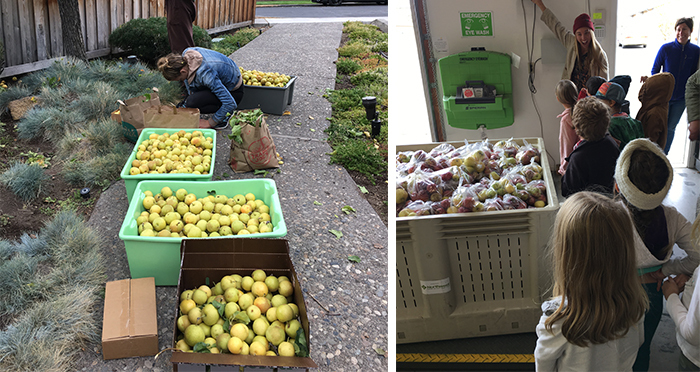 The apples were gleaned by HDFFA Volunteers from an orchard in Prineville. This produce would normally end up in the compost or decompose in the fields, but instead it will contribute to 800 meals for families who need it. Learn more about Grow & Give and discover ways to get involved at hdffa.org.